Miss Berry writes to offer her sympathy and prayers to Miss Wooten, whose father passed away. 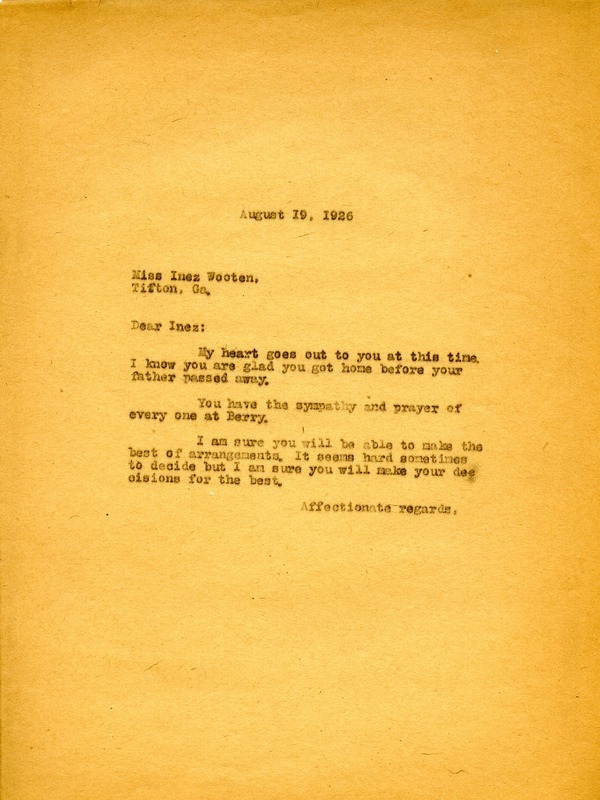 Miss Martha Berry, “Letter to Miss Inez Wooten from Martha Berry.” Martha Berry Digital Archive. Eds. Schlitz, Stephanie A., Rachel Renaud, et al. Mount Berry: Berry College, 2012. accessed April 26, 2019, https://mbda.berry.edu/items/show/3854.